Looking for something truly unique and one-of-a-kind? Work one-on-one with our Fireplace Experts to design a custom wood firebox ideal for your space. Customize your firebox and firebox doors: from size, to style, to accessories and options to further enhance your new fireplace. Don’t be stuck with off-the-shelf products, create something exclusive for your residential or commercial space. Whether you’re looking for a show-stopping mammoth custom wood fireplace or something to heat your home, our experts will help find the ideal design for you. Our custom fireboxes give you virtually limitless options — and that includes size! Acucraft builds open-hearth fireboxes that look and feel like full masonry but operate cleaner and with higher efficiency. Get the most out of your wood fireplace with a pre-engineered, zero-clearance firebox complete with stainless steel flue that never cracks like clay tile. From single-sided, see-through, and indoor/outdoor options to 4-sided mammoth fireplaces, we can create the perfect fit for your project. Finish your fireplace in custom colored, high-temperature paint or patina, choose from popular handle styles, door framing options, hammering, clavos, and more! 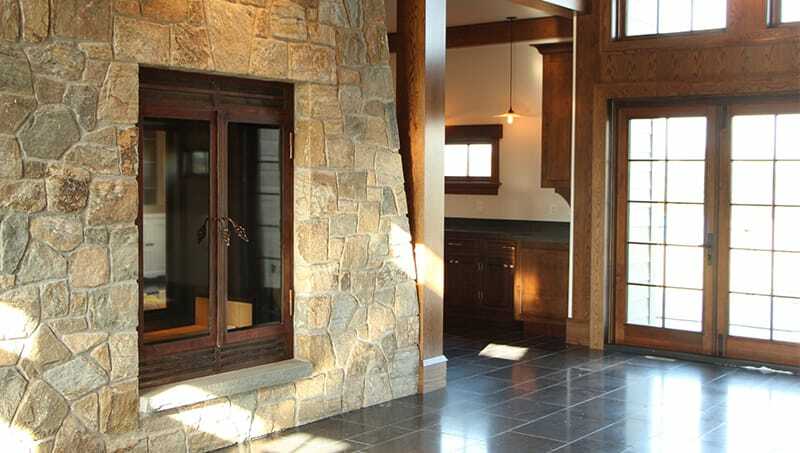 Safely operate your fireplace with open doors or remove them completely and use a custom manufactured fire screen. Fully utilize your custom wood fireplace and enjoy the smokey flavor of cooking over your fire with our 304 kitchen grade stainless steel BBQ grill. Enjoy soups and tea using our custom cooking arm. Looking for inspiration and ideas? Request your Custom Wood Fireplace Brochure! Get Started on Your Fireplace Journey Today!